Planning and designing your Identity & Access Management architecture can be pretty complex, depending on your use cases. 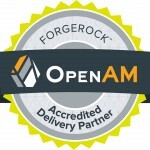 Even when using a set of tools like ForgeRock’s Open Identity Suite … which is pretty easy to install. You need to understand which products are right for your use cases and requirements. Should you use OpenAM or OpenIDM for creating users? This is a common question that customers ask us. (hint … you should probably use OpenIDM for provisioning users, even though OpenAM does provide the ability to create users.). What about the number of servers or instances you should be running? 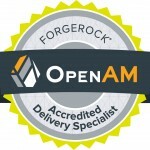 As a rule of thumb, a well tuned OpenAM instance can handle about 100,000 sessions concurrently … but that doesn’t mean you should only have one OpenAM instance configured if you only have 50,000 users. It’s highly advisable to engage with a ForgeRock partner that has the experience and know how to help you navigate these questions. Our team can help you determine which products you need to license, how to best configure your environment to provide rock-solid services to your customers and can even manage this environment for you after it’s all set up. We have provided these types of services to the Federal Government, Public School Systems and several commercial organizations. We have designed and implemented solutions for on-premise data centers, cloud-based deployments and hybrid deployments as well. We can advise your team before you buy, help you configure and setup the environments and then keep it running securely after it’s been deployed. 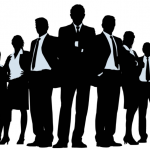 Take a look at some of the solutions we offer here and then reach out to us here.